We offer as comprehensive canoe and kayak hire service, expedition outfitting and customer shuttle service to just about any location in Scotland. 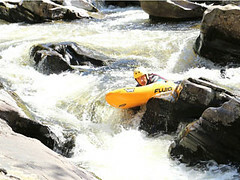 Canoes and kayaks can be hired for 2+ days. Inverness – servicing Great Glen Canoe Trail, Glen Affric, West Coast (e.g. Knoydart, Loch Moidart, Loch Shiel) and North West Scotland, River Beauly and Moray Coast. Aviemore – servicing the River Spey and the River Dee (Canadian canoes only). Loch Lomond – servicing Loch Lomond, Argyll Kayak Trail, Loch Awe, Glasgow to Edinburgh canals, River Tay. It is not possible to canoe or kayak directly from our Inverness and Aviemore locations. All hire bookings must be made in advance in order that arrangements can be made to transport equipment to your chosen location. 60 litre watertight barrel per person or equivalent sized dry bag. Our canoes are predominantly 16ft Venture Rangers, ideal for multi-day trips on flat or moving water. The canoes come with 2 fitted seats and although they have sufficient room for a third adult or a couple of small children kneeling in the middle, you must bear in mind that along with expedition kit the boat may sit low in the water and put you at risk of being swamped. We also have a small number of Canadian Canoes, better suited to solo paddling. Our kayaks are a mainly a mix of P&H Scorpios (17ft – sea kayak) and Venture Easkies (15ft & 17ft touring kayaks). 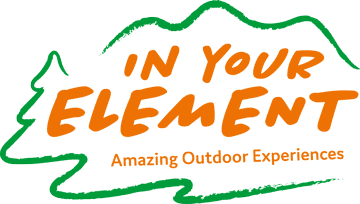 Camping, cooking and dining equipment: £12 per person per night (Includes tent, inflatable sleeping mat, stove and fuel, pots, plates, bowls, mugs, cutlery). Note: Sleeping bags are not included. Canoe or kayak guide: If you’d like an instructor to spend some time with you on day 1 of your trip, just to make sure you settle in to the trip ok the costs would be £100 for the first 2 hours of your trip or £180 for up to 5 hrs.Please note: 1 instructor for every 10 canoeists or 8 kayakers paddling would be required. We don’t hire out rescue equipment to hire customers, as we expect that those with the knowledge to use it safely will have their own personal equipment.